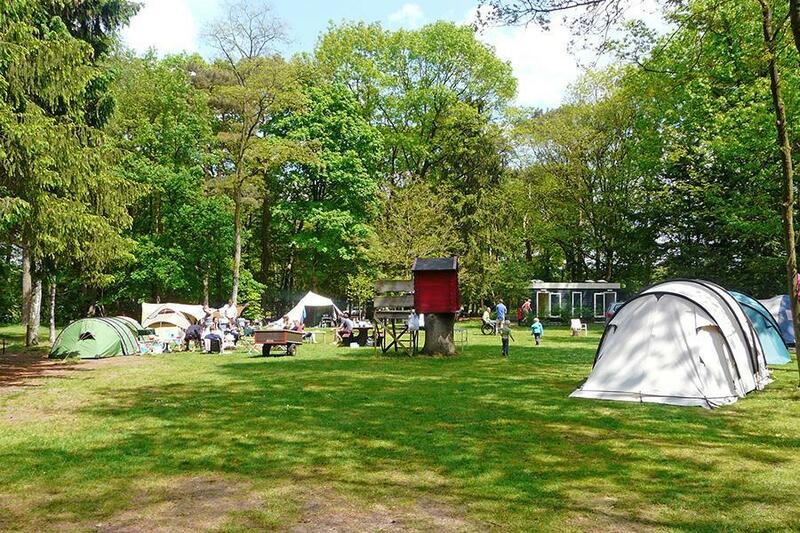 At Natuurkampeerterrein Morgenrood in Oisterwijk (North Brabant) camping costs as little as €18,- per night during low season with CampingCard ACSI. At one of the 75 touring pitches you will get a discounted rate during the period 01-01-2019 - 29-05-2019, 11-06-2019 - 29-06-2019 and 02-09-2019 - 31-12-2019. At this campsite you can not only use your CampingCard ACSI for inexpensive camping, you can also use your ACSI Club ID (as an alternative ID). Camping in the countryside. Peaceful, spacious grounds in open woodland. Ideal for walking and cycling. Free access to the Kampina nature reserve. Part of the campsite includes the Nivon natural camping grounds. Dogs permitted only on one part of the campsite. New toilet facilities since 2015. What a wonderful site. Pitches are set amongst the woodland with direct access to miles of cycle trails and footpaths. Facilities very spick and span at time of our visit (October 2017) though not many campers around. A lovely place to stay for a couple of days before boarding the ferry home! Would you like to book Natuurkampeerterrein Morgenrood or request more information? You can do both using the information below. In Oisterwijk follow signs to the recreational amenities as far as the Scheibaan. Morgenrood is located on this road, no. 15. CampingCard ACSI will send your information request to "Natuurkampeerterrein Morgenrood".